In the modern technological age, video ad campaigns must be adaptable to new and ever-changing online trends or else they risk falling to the wayside completely unnoticed and without merit, which defeats the purpose of advertising. Companies, advertisers, and promoters need to find new and innovative ways to reach their target audiences, and the best way to do this is to keep track of video advertising trends and find ways to apply these strategies to their online marketing campaigns. The video adverting feature in AdWords can help companies to develop a personalized video advertising platform that works best to promote their key brand messaging and their merchandize to the right target audiences. In-stream ads: appear at the beginning, middle, or end of partner videos. Viewers can skip ad after five seconds. Advertisers are charged once the video reaches 30 second mark. Shorter ads are only chargeable if they are viewed in their entirety. In-search ads: ads that appear on SERPS once certain keywords are entered in search engine. Advertisers are charged when users click on their videos. In-display ads: video ads that appear in the right-hand display panel of YouTube video page are labeled as ads. Advertisers are charged when users click on the video. AdWords video ads are an excellent tool for attaining a wide range of online customers and increasing your conversion rates. 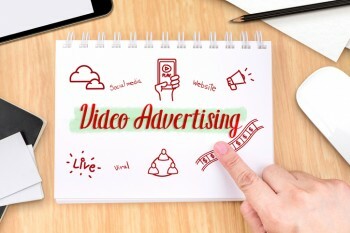 First, figure out the best form of video ad promotion for your business. Second, identify your target audience and cater your video ads directly to them. Then, make awe-inspiring and interesting educational videos that do not feel like ads when being viewed, even though the viewer is conscious of the fact that they are watching an ad. Include content that will spike their interests so that they willingly sit through your video ads. Facebook video ads and campaigns are a great way to accomplish this. Facebook is one of the largest and widest-ranging social media networks, and it has the most far-reaching age, cultural, and racial demographic. Facebook video advertisement can help advertisers target their ads not only to specific groups or types of people but to specific individuals who frequent the social media network based on data collected from their newsfeeds and profiles. Analyzing this data through video advertising in AdWords and using it to your advantage as an advertiser to reach the right audience for your company will ensure the success of your online video ad and marketing campaigns in 2017. Being able to predict video advertising trends before they become trends will help you stay ahead of the game in the upcoming fiscal year. It will also help you to improve and adjust your video advertising platform to match those trends. Facebook and YouTube advertising and video ads are sure to increase in popularity in 2017. But, it might be wise to also keep an eye on other social media platforms, such as Twitter, LinkedIn, and Pinterest to name a few. The best thing to do to increase the chances that more and more people are viewing video marketing campaigns, such as YouTube video ads, is to make them as accessible as possible to a wider audience while still keeping your target audience in mind. Numero Uno Web Solutions is a trusted SEO company. Our precise, studied methods and contact form optimization services have benefited businesses in Toronto, Richmond Hill, and Vaughan; we have even extended our services to Texas, Massachusetts, and Florida. To learn more about our content marketing techniques and how we can help improve your search profile, call us at 1-855-SEO-XPRT.